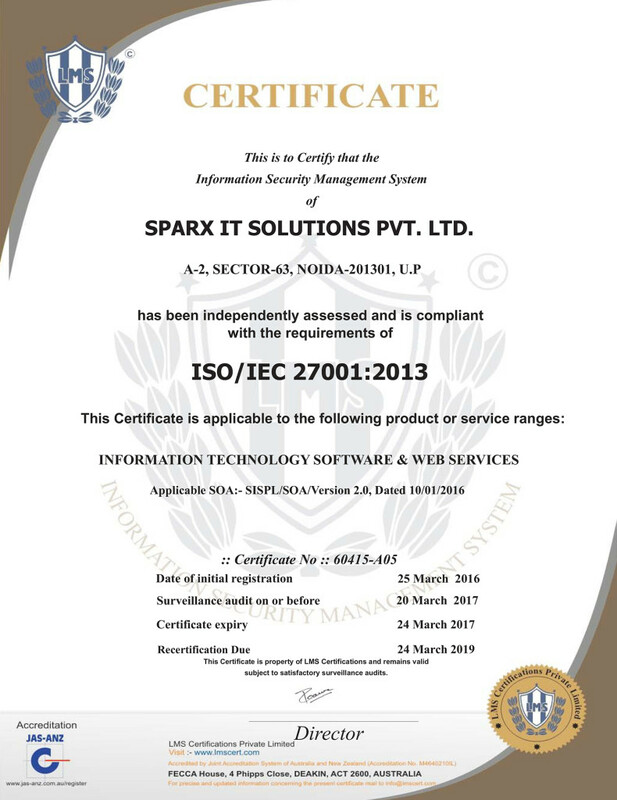 Glorifying the perfection and dexterity of Sparx IT Solutions in the realm of Information Technology, the company is recently awarded with a prestigious ISO 27001:2013 Certification in security management. This information security standards certification unfurled a new chapter of effectual management of handling confidential and sensitive data by the company. This self-regulatory certification enables flourished organizations like ours to exhibit excellence and proffer the best practices of Information security management. Like before, the ardent team of Sparx IT Solutions would strive to conform to the standards required for the continual improvements in control of information. We are immensely pleased to announce that considering the stake of our company in quality management, we got our ISO 9001:2008 certificate renewed too. This is an added milestone to the Sparx IT Solutions’s good book of achievements. With the continual support and dedication of our team, we commit to win over many more awards and certifications in the future to assure quality, competence, and exclusivity. This certification is sure to add one more feather to the cap of our worldwide success as a leading IT company. It will not only boost our global reputation but also attract more prospective clients to count on our expertise in the realm. 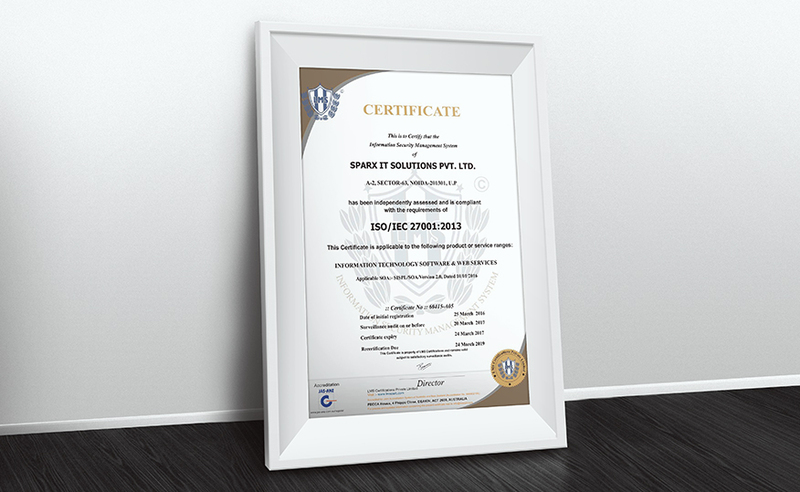 Sparx IT Solutions is synonymous with reliability and excellence and this certificate reinforces this fact in a convincing manner. Congratulations for a receiving the award from prestigious ISO 27001:2013 Certification in security management. Awesome Achievement.Congrats for your certificate.i think you are fastest growing mobile applications development company not in India but in world.Again congrats.